What Can Our Internet Marketing Services Do For You? First Capital Internet Marketing Consultants offers internet marketing services to online businesses and professional internet marketing companies. You can count on First Capital Internet Marketing Consultants for quality services such as website design, keyword research, link building and SEO. 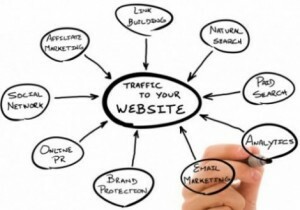 Our Pennsylvania SEO, social media management and link building campaigns connect businesses with customers and potential customers online, providing them with valuable marketing research information. Social media allows businesses to connect on a personal level, combining information with fun, interactive activities. The cost of doing business in today’s uncertain environment is increasing. We offer the services that will help your internet marketing business save time and money by reducing the number of employees and expense of costly benefits. Internet marketing is the cornerstone of any online sales program because it determines how an audience perceives a product or service. An effective internet marketing strategy addresses social media, includes content marketing, SEO and search engine results page placement. Find the perfect balance and you’ll be positioned for success. To help your business succeed online, we stay on top of social trends, cultural influences and technological developments, tracking their effects on consumers and purchasing behavior. Internet marketing services will give your business the competitive advantage it needs to succeed.